I have been wanting to race abroad for a few years, but the shear cost and planning has always seen me taking the easy option. Luckily after my training camp in Gran Canaria went well last year, I knew it could be fairly simple. 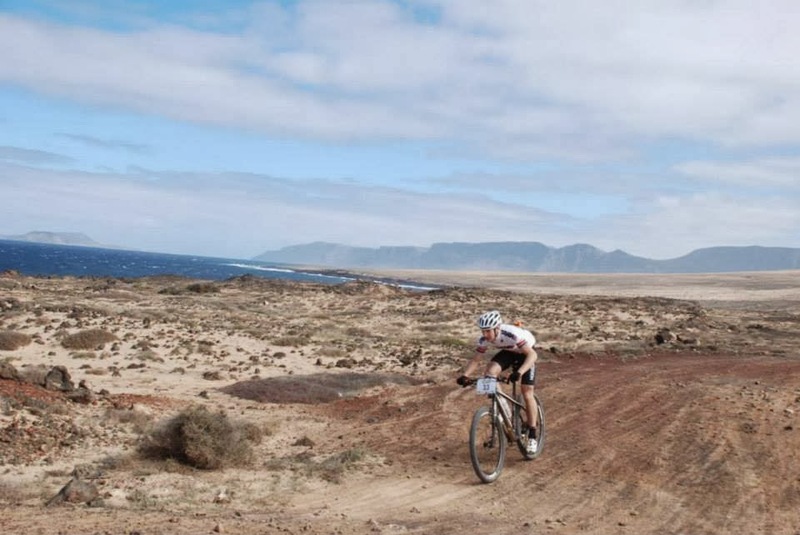 I had seen a few posts about the 'Club Lasanta' 4 day stage race, and I’d quizzed endurance legend Ant White about it, it looked a good option; warm weather, all out of one location, good flight options, cheap local accommodation, a week away from the British winter. So I recruited a friend, found accommodation and tried to get in shape. Travelling was relatively smooth, the bikes survived the flight, and the accommodation I found online actually existed. But wind!! Jesus Christ the wind! The first, short 30mile ride left me totally shattered, battling into a 25mph block headwind, but the riding showed promise, fun trails and sufficient climbing. The first stage was a 38km blast! The Fast and furious start saw my heart bouncing of its relatively low limit, but I was well paced and attacking the hills well, made my first stage racing mistake, volunteering to lead the group may seem a good idea, but I was only making my life hard. 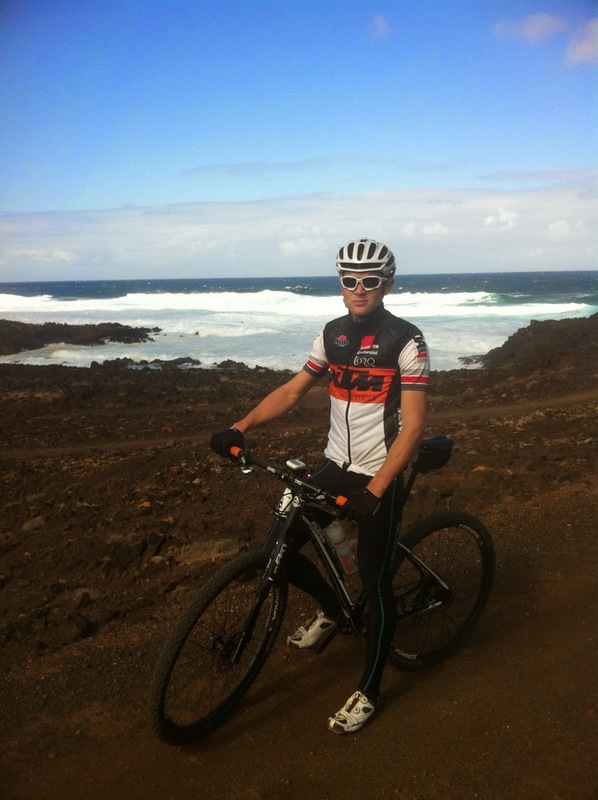 The stage went quickly, the descents were fun , but had to be ridden with caution due to the loose nature of the terrain. 1:33hr and I was done, a strong ride, 26th out of 38 elites, and as I wouldn’t class myself as “elite” at these distances I was happy. Stage 2 saw a less frantic start, a longer 58km stage lay ahead. The gradient was gradual and I was staying clear of leading the pack! After an hour of racing we hit the lava field, a 3mile section of tennis ball sized lava rocks split the pack up, I just wanted to get through without a puncture! The next section was a long drag uphill, this suited me well and I made up lots of places. I found a similar speed rider and we worked well off each other for the next few miles. 30miles complete and I wanted to shake him off, but every time I attacked he caught me on the next open section where my 1 x 10, 34 tooth gearing lacked top end speed. Eventually I dropped him as we approached Lasanta. 2hrs 37mins, 23rd elite, 42nd male overall, moving me up to 24th elite. Stage 3 was a 20km hill climb, from the beach to an observatory 594m above. Sally Bigham had told us it took her 1:04 last year, so I had this time to aim at. I got off to a good start, legs felt ok, but a bit cool after the ride over to the start. I kept an eye on my heart rate and cleared the first section of the climb with my minute man in sight, a short technical descent then a wide open stretch, I’d opted for a smaller 32tooth front chainring, I slightly regretted this as I span out, but it gave me plenty of gear options. The last few miles was a long fireroad drag to the summit, I caught and passed my 2 minute man, then just before the end my 1 minute man. I was happy with my ride, only 40 seconds behind Sally, with a time of 1hr 2mins 43seconds, enough for 37thoverall on the day, 23rd elite overall. Stage 4 was the biggy! a 78km blast, with a 7.5km climb after 37km. I got off to a good start, riders were playing it cool with pacing, which allowed well paced groups to form, I tucked in with a few riders from the UK, the pace increased but had no choice other than to go with it, I tried to keep to my Torq gel and drink intake, but then my GPS ran out of battery! I’m not used to running on instinct but I made the most of feed stations, grabbing gels and bottles of coke. The long climb came and it was my chance to attack, a few off us broke away from the group, climbing well together, I could see Ant white in the distance but it took us the whole climb to catch him! The descent from the peak was loose and fast, I always air on the side of caution, preferring to chase back on, instead of coming off the trail! Me and Ant worked together, catching and gapping a few riders until the final road section where I pulled away, the final section was fun and I felt good, I recognised a few sections of trails and knew it wasn’t much further. I arrived back in Club Lasanta after 3hrs 34, quicker than I had anticipated, finishing 31st Overall, 21st Elite. 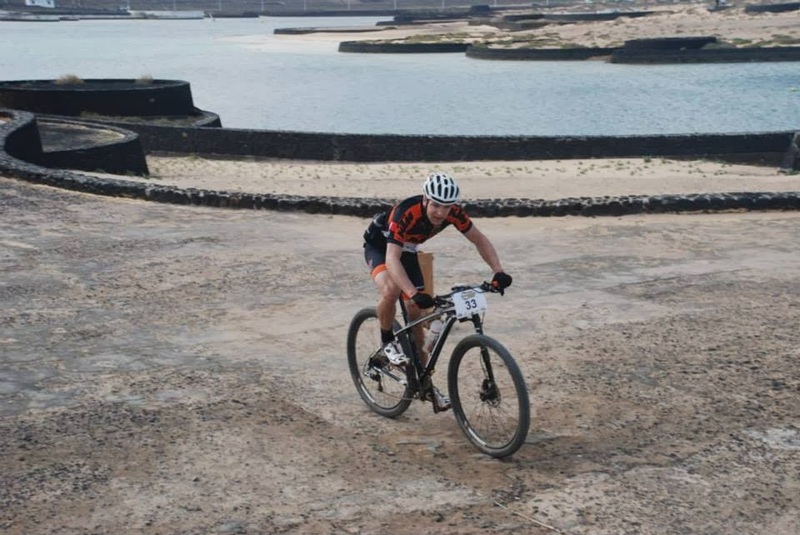 Overall I finished 22nd elite, 37th out of 101 overall, happy with the result for my first stage race, and now I know the format, I think I can improve, but to put things into perspective Sally Bigham beat me comfortably in every stage, James Angus Ouchterlony Heathcote, in the 40+ category was 8th overall….. The last two days were spent spinning the legs, we had a nice 50mile group ride, taking in some of the larger road climbs, then before catching our flight home we re-rode some of the second stage. It was a great test of the new bike, it suits me well, and fitted in with the euro whips well. My Strada wheels were great! confidence inspiring through the super rough lava fields and came back unscathed and true.